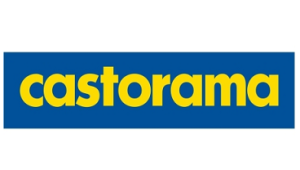 We hereby inform that Castorama Company, which is a subsidiary of Kingfisher Group, has chosen BatiPlus Company to perform construction site management and investor’s supervision during the construction of a Castorama building market in Radom. The building market shall have the usable floor area of approximately 13 thousand m2 and the accompanying parking lot shall accommodate nearly 500 cars. Apart from the investor’s supervision, the BatiPlus team shall be responsible for the assessment of the project documentation and OHS inspection on the construction site. The investment carried out at the intersection of Żółkiewskiego Street and Energetyków Street is the first Castorama store in Radom. Thus, Castorama adds another location to the list of over 50 cities in Poland. The construction of the commercial building with office and social premises and accompanying technical infrastructure shall be finished in 2016.